Are You Taking Advantage of Facebook’s See First Feature? With organic reach dwindling to less than 2% for most Facebook Business Pages, it often seems like there’s a wall separating you from people you know have expressed an interest in hearing from your business. 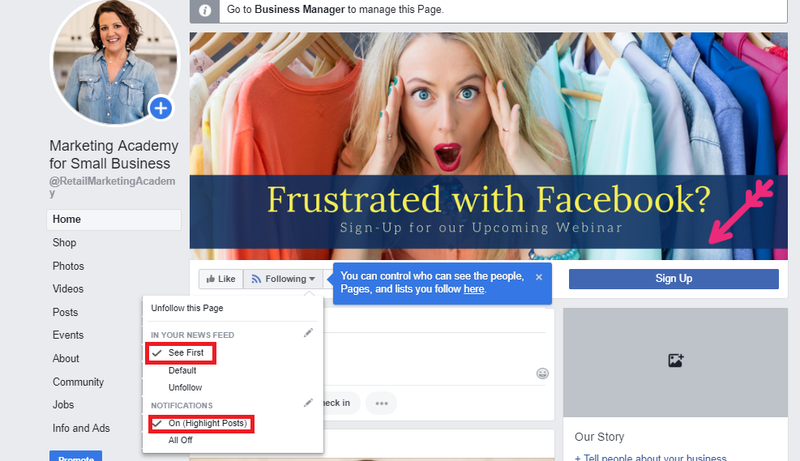 While we can’t change the Facebook algorithms, there is an easy way for you to encourage your followers to take a couple of easy steps to ensure your posts always show in their Newsfeeds. 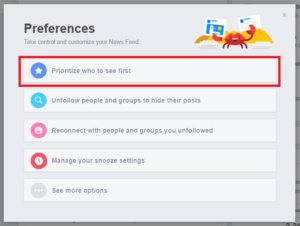 Facebook introduced a feature that allows users to select both the friends and Business Pages they want to “see first” at the very top of their Newsfeeds. While this has been available for several years, few users are aware of its existence or how to set it up. Educating your followers about this tool is a powerful way to ensure a line of communication between your business and the Facebook users who have chosen to follow you. After this selection is set, any pages selected as a “See First” will show at the very top of the feed and will be designated with a yellow star. The first way users can select to see your Page’s posts is to click the drop-down in the top navigation when they log into Facebook. If a user is already on your Business Page, they can simply click the Following button and select See First under the In Your Newsfeed section. While these steps ensure uses see your posts when the refresh their News Feeds, it’s important to continue to create compelling content so your followers want to continue seeing your posts at the top of their Feeds.